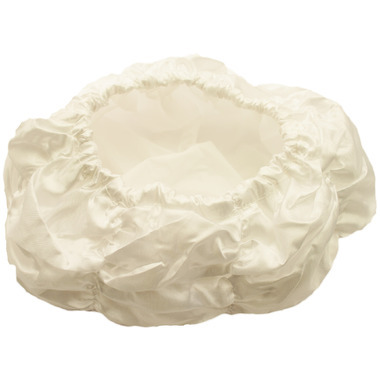 A pretty lace shower cap. This is very, very tight around the head - so much so that it was uncomfortable and couldn't make it through a single short shower. I have an average sized head with average amount of hair, so I would only recommend this if you're okay with a very tight elastic on your head, if you have a very very small head and not much hair, or perhaps for kids. I would not recommend this otherwise.